Doctors at the Gia Định People’s Hospital in HCM City yesterday offered specialty consultation to doctors at the Củ Chi District Hospital through a video link. It is the first district-level hospital in the city to use telemedicine. Last week the city Department of Health had assisted the Củ Chi hospital in installing InTouch Health, a telehealth network, and linking up with 11 major city hospitals. It will also consult doctors at 10 hospitals in the city, including Paediatrics Hospital No.1, Từ Dũ Obstetrics Hospital, Bình Dân Hospital, Ear-Nose-Throat Hospital, Dento- Maxilo- Facial Hospital, Dermatology Hospital, and Củ Chi General Hospital. After piloting the system at the Củ Chi hospital, the department will scale it up, establishing telemedicine links at all district-level public hospitals in the city, Lê Anh Tuấn, head of the Department of Health office, said. It is aimed at reducing the overload at major hospitals, with specialists offering help to examine, diagnose and treat patients at any geographic location. The telehealth network also enables healthcare units to transfer technology and remotely train doctors. 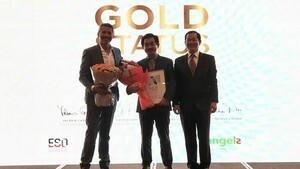 People Hospital 115 in Ho Chi Minh City has become the first hospital in Asia to achieve Gold status certification in treatment for stroke issued by the European Stroke Organization.